Impalaton (or impalation, as another name) is a bakugan mobile assault, released during the early episodes of the Gundalian Invaders. Mobile assaults are all larger in size, and Impalaton is about 3 inches in diameter when closed. 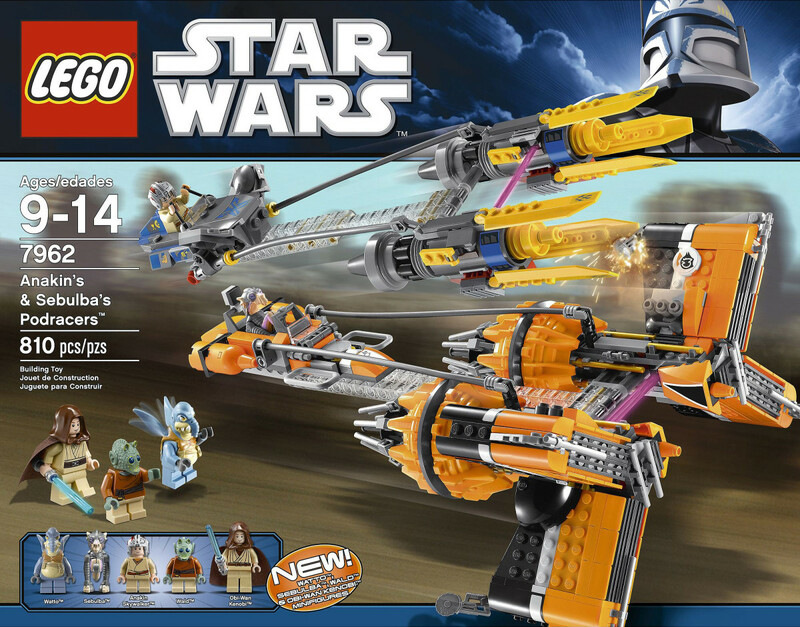 It is capable of holding another bakugan on top of it. 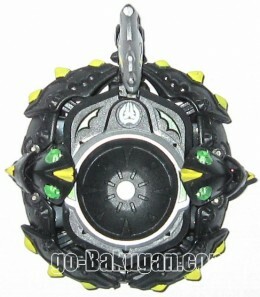 However, there can not be any pop-outs under the bakugan, or it wouldn’t fit. 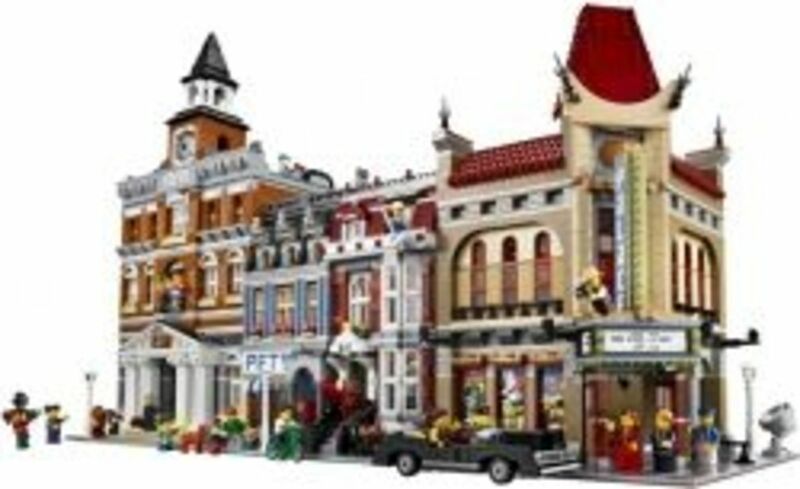 Likewise, Impalaton was built after many bakugan, so it may not fit all of them, such as Glotronoid who has parts at bottom automatically pop out when opened, and other bakugan without a stable base upon opening. This vehicle is slow moving, but looks very dangerous, just like a spider (and it looks like one). It has six outstretched legs that increase the assaults captivity. 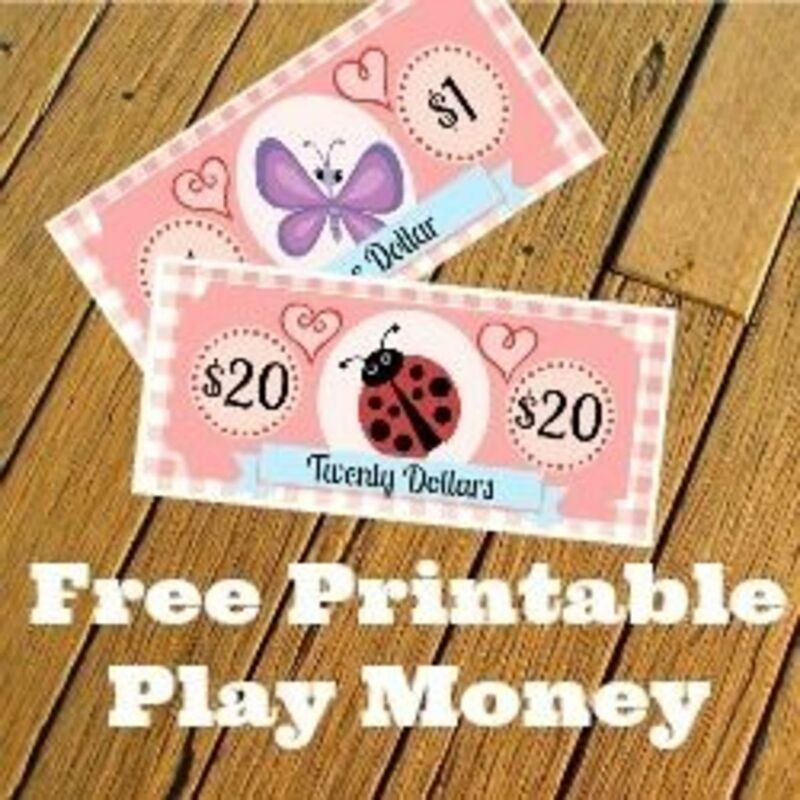 It also has two pinchers at the front. Like all mobile assaults, Impalaton has wheels on the bottom to help it maneuver and slide across surfaces. They are often found in Darkus, and shaded colors. In the middle, there is a circular dent with a built-in magnet designed to fit bakugan. It is extremely rare and amazing. The only unfortunate thing about it is that it is VERY hard to close. It took me five minutes to close mine at the first try, before I figured out the tricky part. Impalaton has also been (mistakenly?) nick named as Impalation. It is currently available in 4 colors: blue, black, red, and tan. Both blue Aquos and tan Subterra Impalaton have 220G, red Pyrus has 240G, black Darkus has 230G. The DNA code is located at the bottom. Impalaton was seen in episode 23, where he battled Drago. The only current ability we know is called Chaos Vibro. It lasted for a while, as Dragonoid put in a futile effort to destroy the assault vehicle. It didn’t work, since the armor was too strong. Fabia also mentioned that assault vehicles couldn’t have their abilities nullified, which makes Impalaton even more powerful. He also defeated Aranaut, who was trying to protect the two battlers. However, Drago takes back the battle by using his own Mobile assault, attacking Impalaton and defeating him with a single blow. Before this, Impalaton tried to force Drago out of the arena. His vehicle was out of reach, however. This shows that the Mobile assault is very strong and is thoroughly protected with thick metal armor. 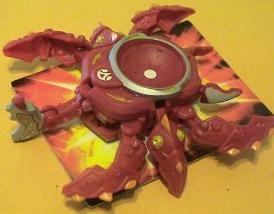 This bakugan has a brown exoskeleton that protects the motor and acts like armor. The basic shape is similar to a spider, with only six legs and two pincher at the front. Impalaton was built for steep rocky terrain and not smooth surfaces. It has a main circular body with a single seat on top. 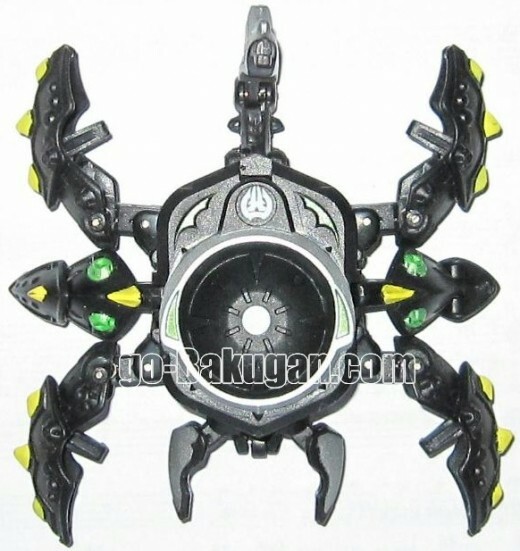 The entire bakugan Mobile Assault is covered with sharp spines and creased joints that are very flexible. This is why it is so hard to close it. To work it, first you have to close it, and then place another closed bakugan on top of it. Afterward, pick the Vehicle and the bakugan on top all together and drop it onto a gate card, and they will all open at the same time. Be careful though, since Impalaton is very sensitive to magnet, and the bakugan will not open until Impalaton is opened itself (To find how to close Impalaton, see our video review below). Overall, Impalaton is a very cool bakugan and I would definitely recommend everyone to get him, even at high price.